Apartment in Palermo Soho, Buenos Aires - The Palace ! 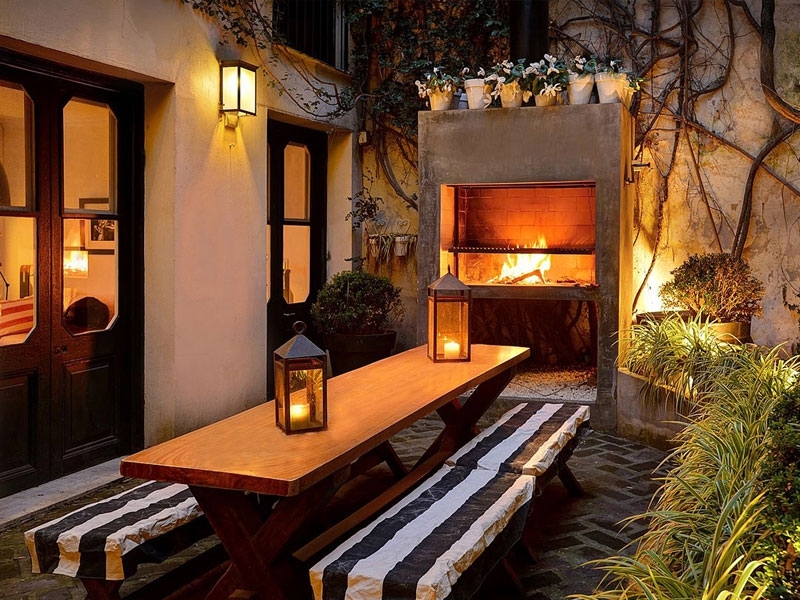 Truly amazing 2400 square feet house, with three elegant bedrooms, private courtyard, terrace and pool in the heart of Palermo Soho – Fit for a King! No expense was spared by the English owners of this property when they renovated it and this is immediately apparent as soon as you enter. The quality of finish throughout is exceptional and is also reflected in the appliances, furniture and soft furnishings. This house for rent in Buenos Aires really is a very impressive property — The best just got better. The living room is the perfect place to unwind and look out over the inner courtyard, perhaps watch a movie on the flat screen television complete with Apple TV, catch up on the news or finish your book. Adjoining the living room is the open plan kitchen and dining area. The kitchen is equipped with the latest gadgets and is a great place to practice your culinary skills. 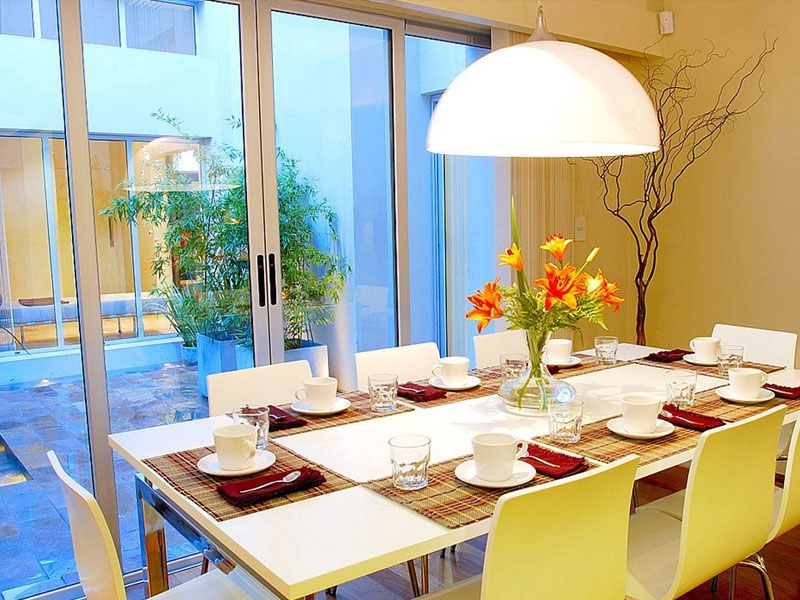 The dining area is the place to entertain your friends and its large table can comfortably seat six on the funky lacquered chairs. On a warm spring day, throw open the inner courtyard doors and dine al fresco. Throughout the property the walls are punctuated with individual artwork, each telling a story. What makes this property truly individual and unique though, is its outdoor space. On the ground floor you have your very own private inner courtyard, a sanctuary, accessed by the french doors in the dining, kitchen and living area, complete with comfortable seating and table. Venture to the top of the building, and you will find a sunken pool, your very own private oasis on a hot summer’s day, complete with waterfall. An impressive covered BBQ area is close at hand and will satisfy the demands of even the most skilled cooks. Last, but not least, a stainless steel spiral staircase leads up to the teak decked sun terrace – The Palace's crowning glory!